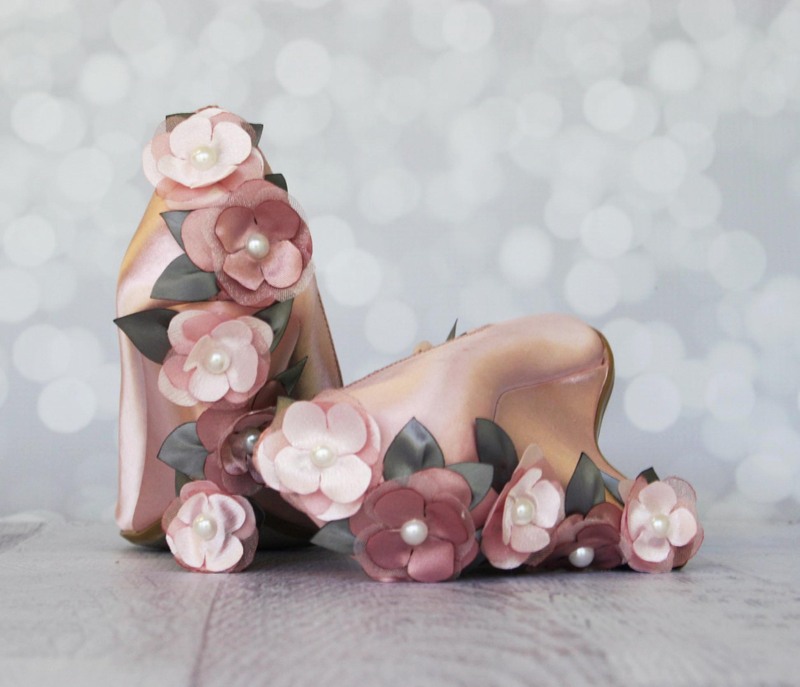 Ellie Wren is a custom wedding shoe and accessory boutique dedicated to helping brides design their dream custom wedding shoes. 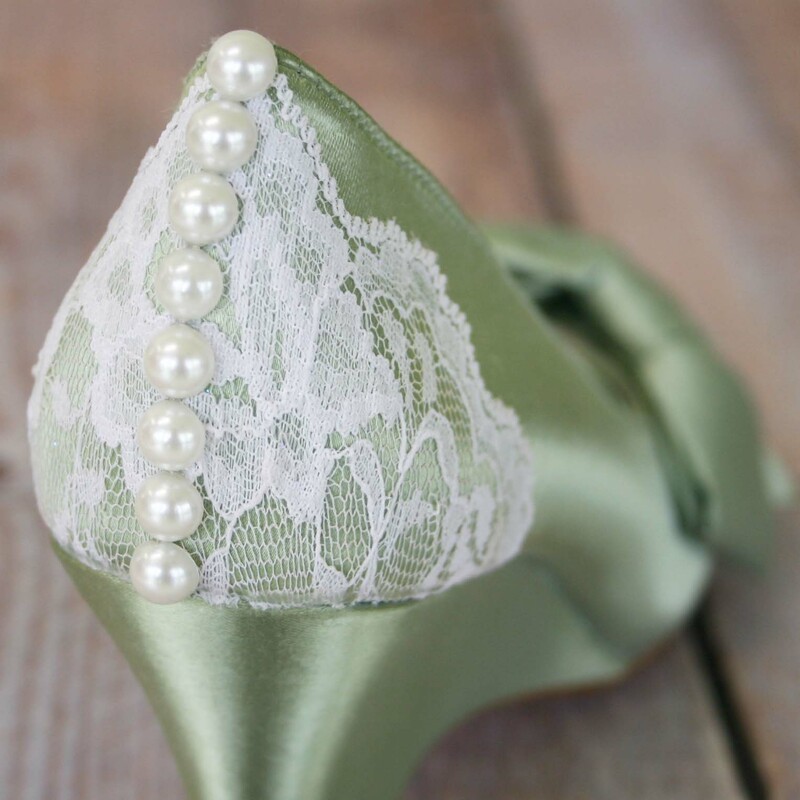 To initiate the custom wedding shoe design process, brides visit Ellie Wren's Design Studio, where they will be prompted to select the base shoe styles, colors and adornment options that appeal to them most. 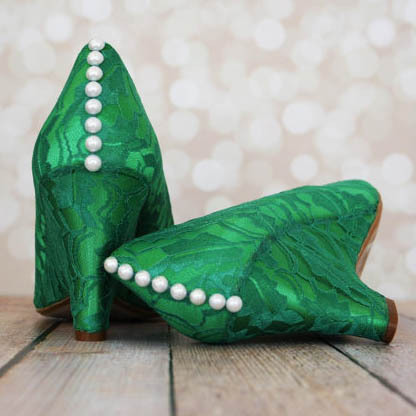 From there, brides will work one-on-one with an Ellie Wren designer who helps to refine their design choices into a truly beautiful and unique pair of custom wedding shoes. 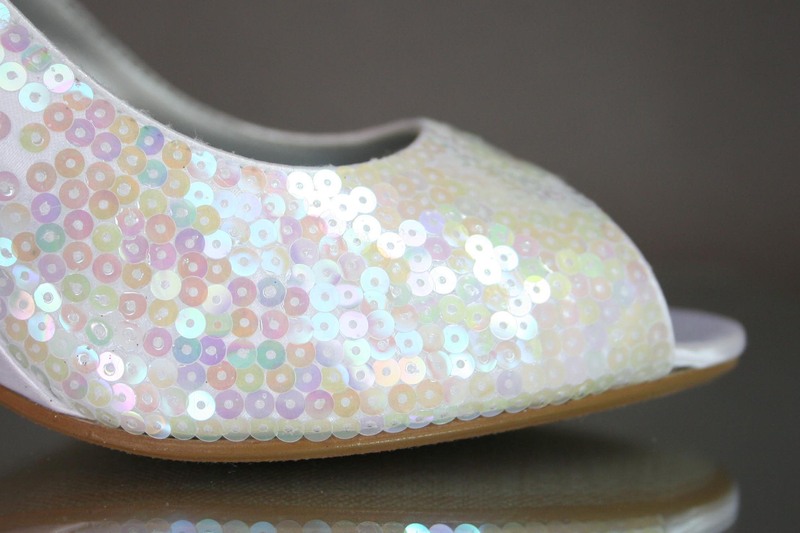 How Many Different Ways Can You Customize A Wedge Wedding Shoe? 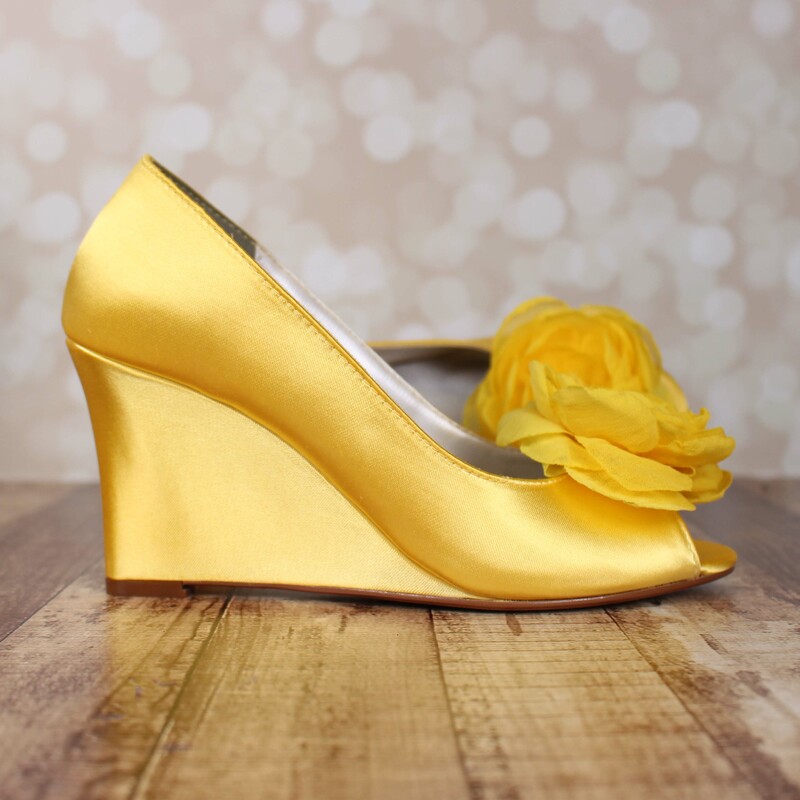 Wedges are one of our favorite wedding shoe styles! 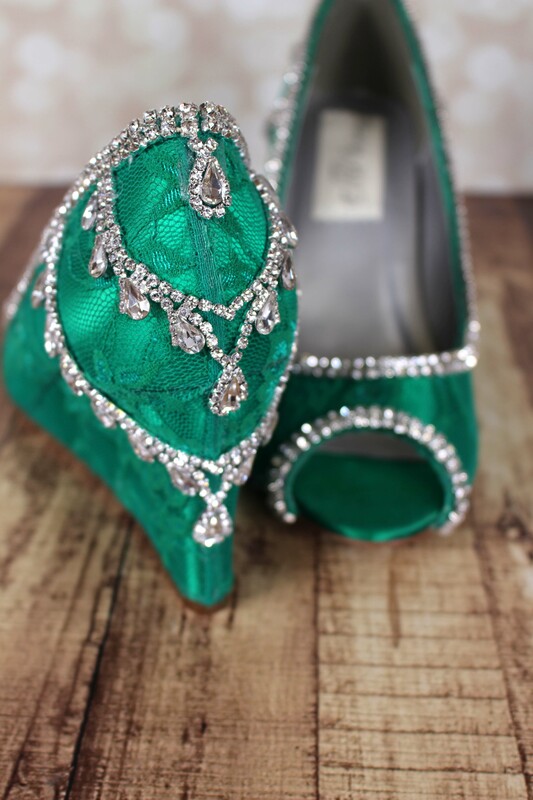 We love their sense of style and how versatile they are in the custom wedding shoe designing process. 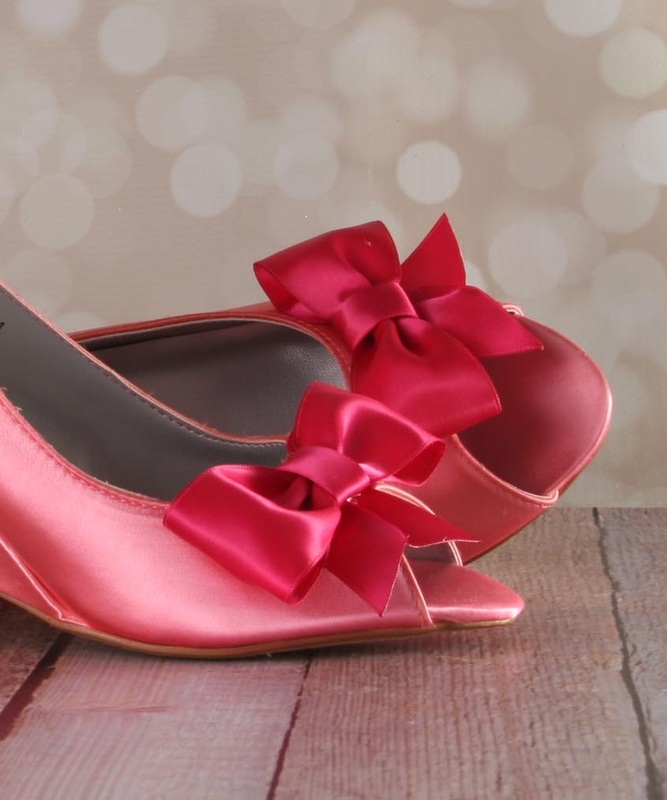 In this blog post, we thought we'd feature one of our most popular wedge base shoe styles and showcase all of the different ways we've dressed it up for different brides over the years. 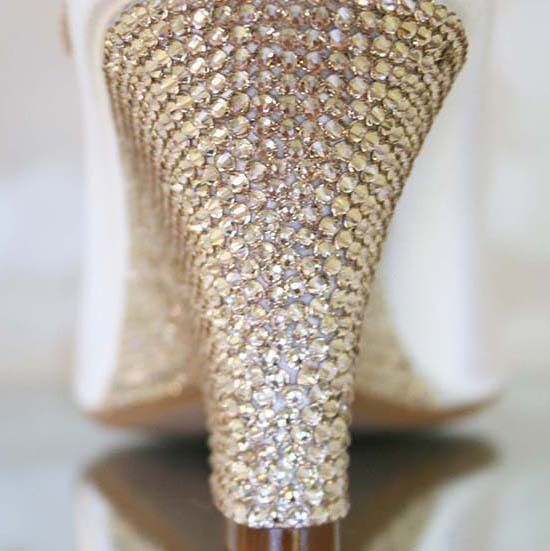 We hope that these options can serve as wedding inspiration for brides looking to design their own wedge bridal shoes! Wait? 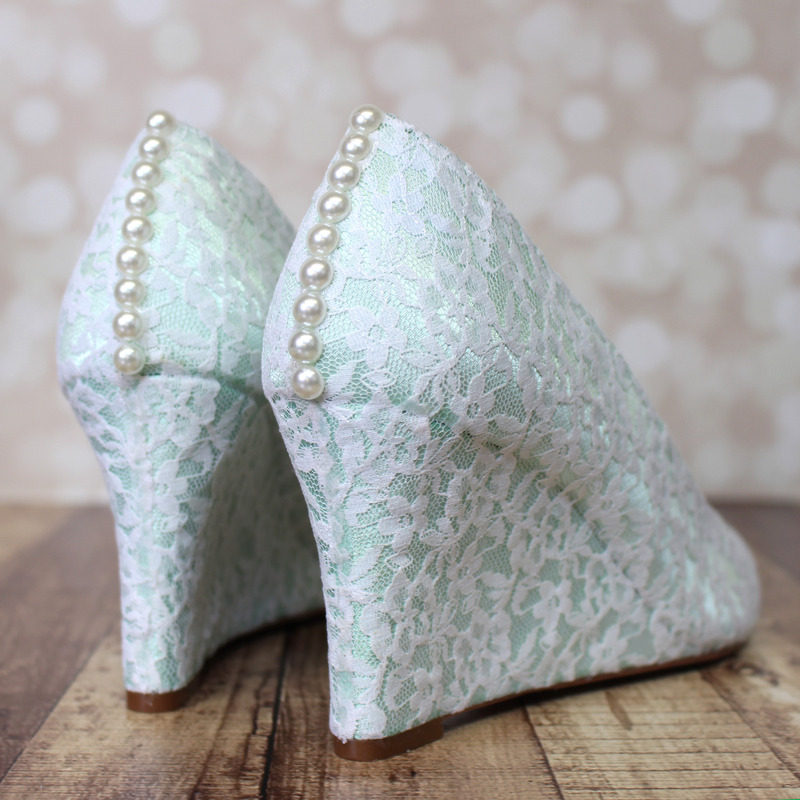 Brides Can Design Their Own Wedding Wedges? 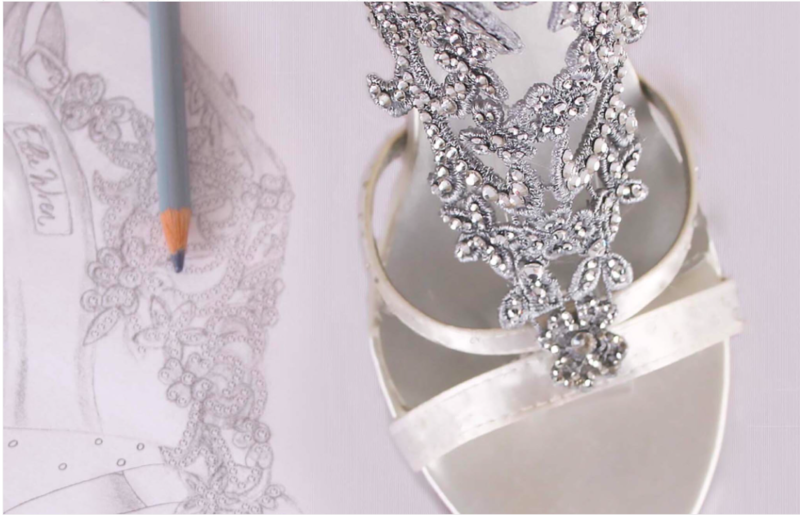 Let's start at the beginning... At Ellie Wren, we work one-on-one with each bride to help her design her dream wedding shoes. We start by getting to know each bride and her wedding style through our Design Studio. 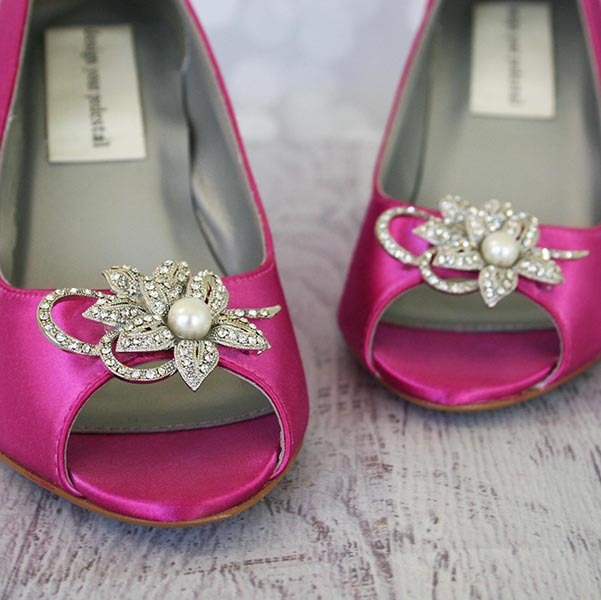 The Design Studio is an online platform where brides can see all of our base shoe options, our colors and embellishments that we've done in the past and start to pick and choose what they like best. So, for example, a bride looking for an open toe wedge for her wedding day, might select the Minka wedding wedge shown here. 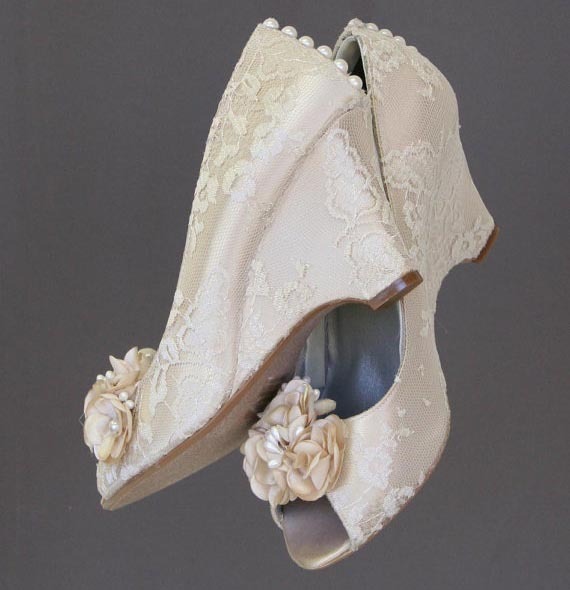 At Ellie Wren, the number of ways to dress up a wedding wedge heel is pretty much infinite. 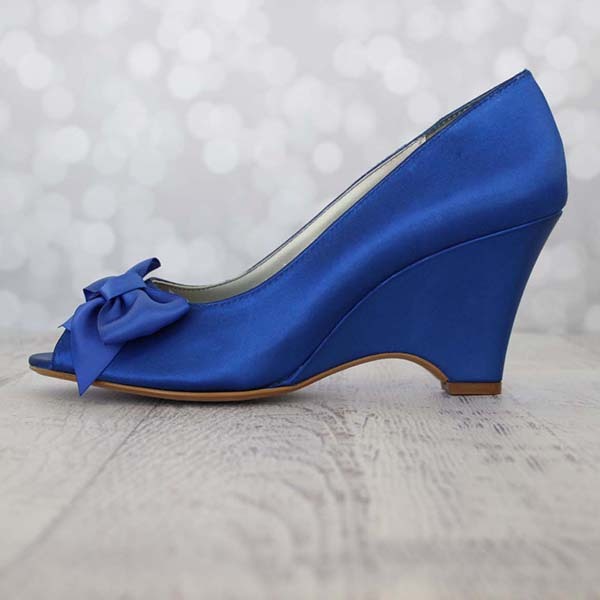 Once the base wedding shoe style (in this case, the Minka wedding wedge) has been selected, we work with the bride on selecting her color palette for her wedding shoes. 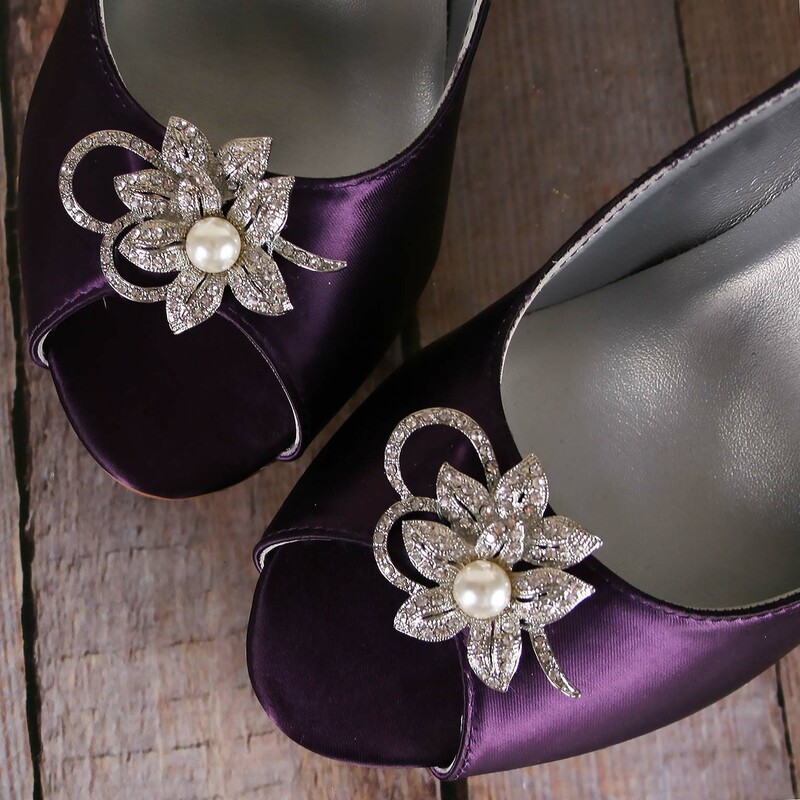 We have dozens of colors to choose from and color selection can be made not only for the base wedding shoes, but also for any adornments selected, including handmade buttons, bows and flowers; painted soles and glittered heels; crystal accents or lace overlays. 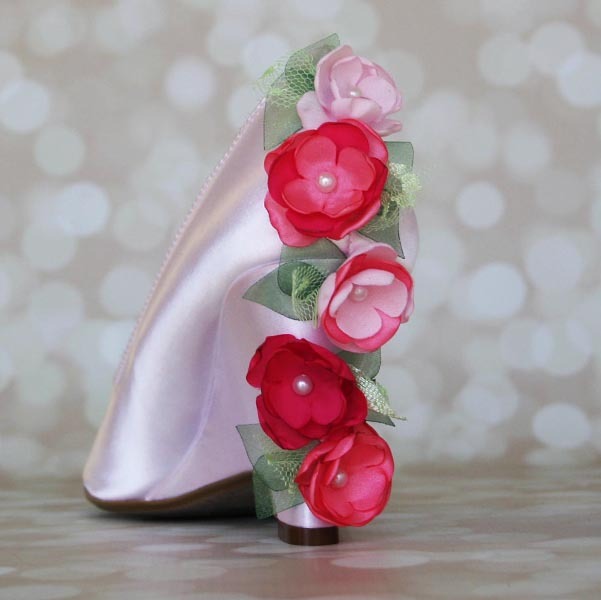 And speaking of custom wedding shoe adornments, the third step in the Design Studio showcases all of the different things we can do to dress up a pair of wedding wedges. 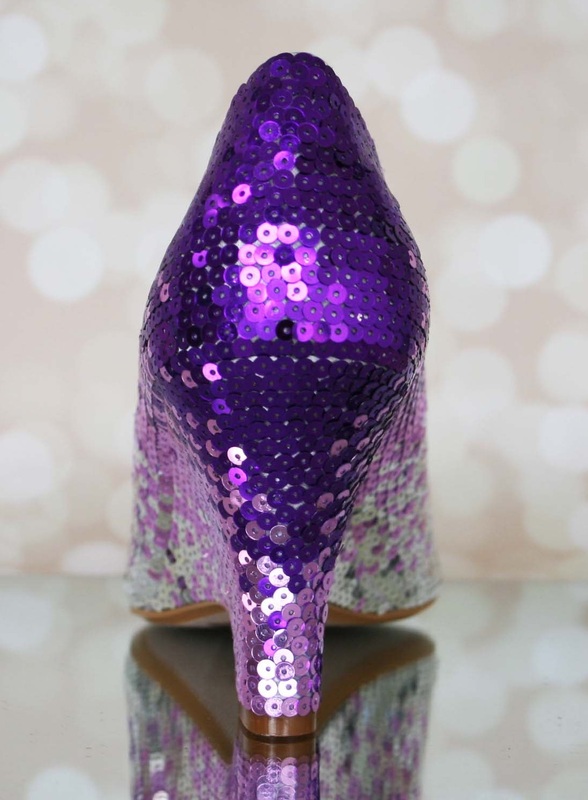 Any of these options can be customized as well – we can adapt them to different colors and different base wedding shoe options. Let’s Get Into Some Wedding Wedge Inspiration! 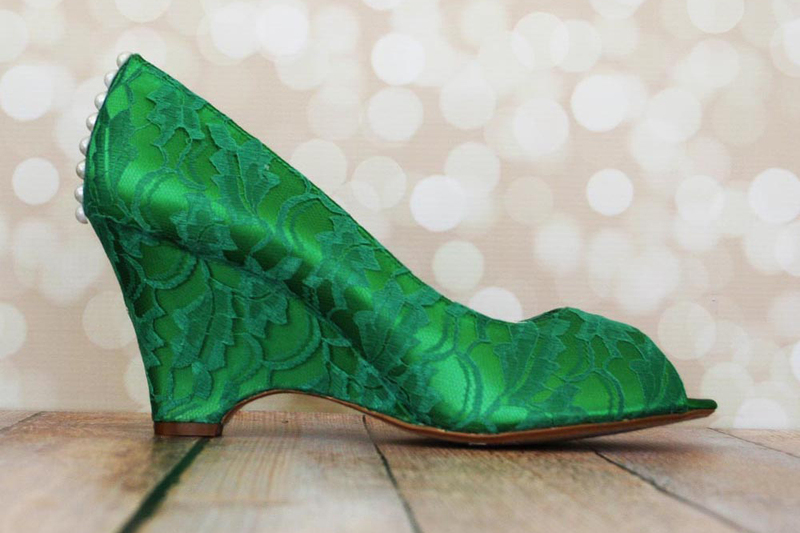 Now that we’ve gone over how Ellie Wren works to help brides design their own wedding shoes, we’d like to focus on all the different ways that we’ve done the Minka wedge wedding shoe to dress it for different brides with different wedding styles and wedding budgets. 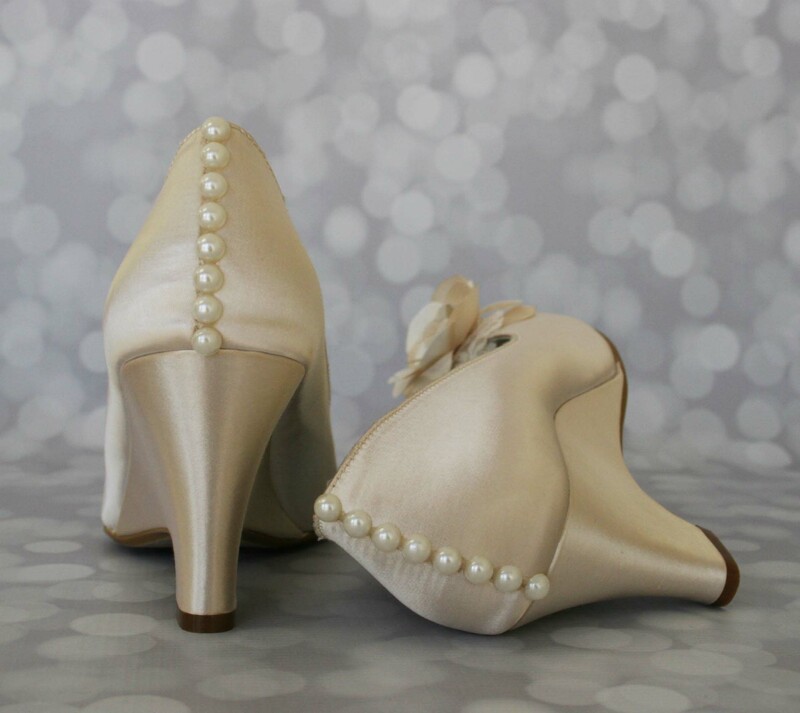 Get ready to be amazed by the transition that this white dyeable satin wedding shoe is able to undergo with a little bit of imagination and wedding-inspired magic! 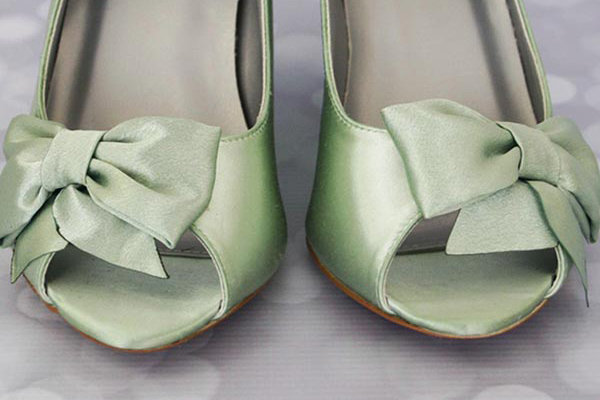 This category of wedding wedges is one of our all-time favorites. 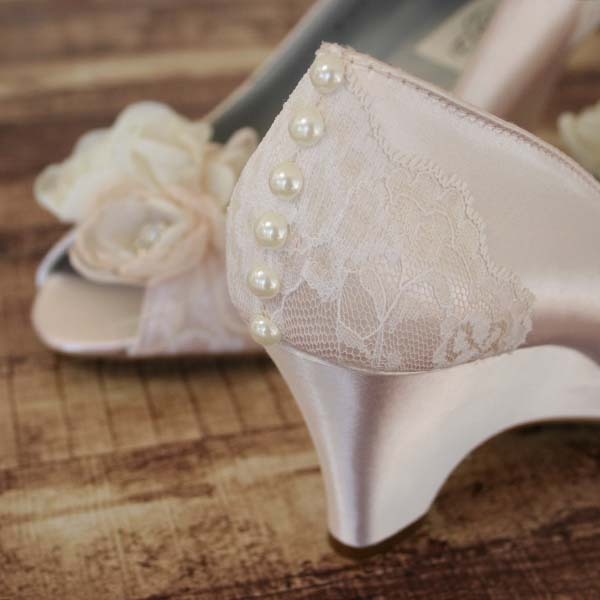 When we think romantic wedding shoes, we think of neutral wedding tones: ivory, cream, champagne, light gold, blush and maybe a slightly bolder plum. Other elements that routinely come to mind are lace overlays and flowers. 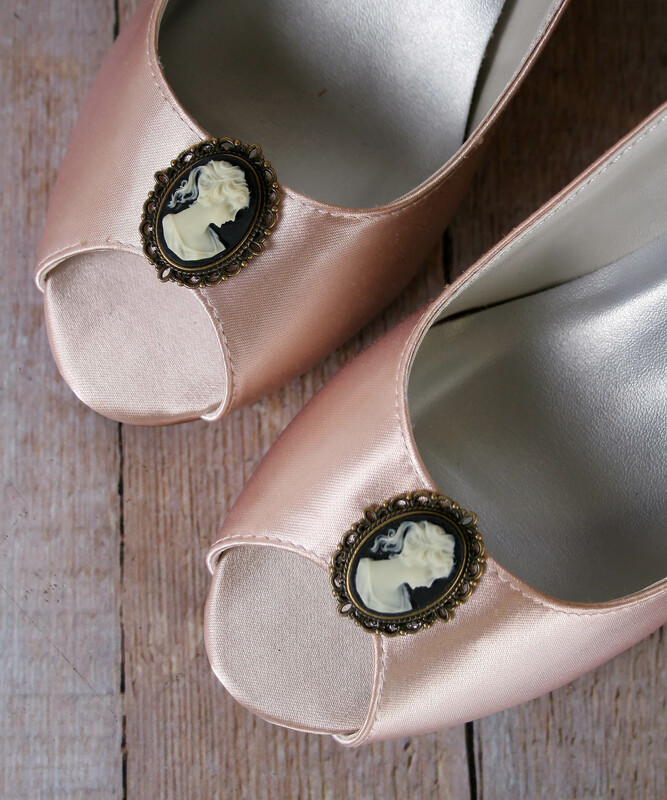 Each bride's own personal choices were incorporated in the custom wedding wedges below, so for example, the wedges with the cameo brooch were created for a wedding in an old manor while those with the Swarovski crystal leaf design were made to match the brides bridal sash. All that being said to emphasize that while a bride may see a wedge here and fall immediately in love (isn't that the best way! ), our design team is very good at taking wedding inspiration from one design and adapting it for the specific bride. So, without further ado, here are some of the ways we’ve transformed the Minka wedding wedge into dreamy romantic wedding wedges. 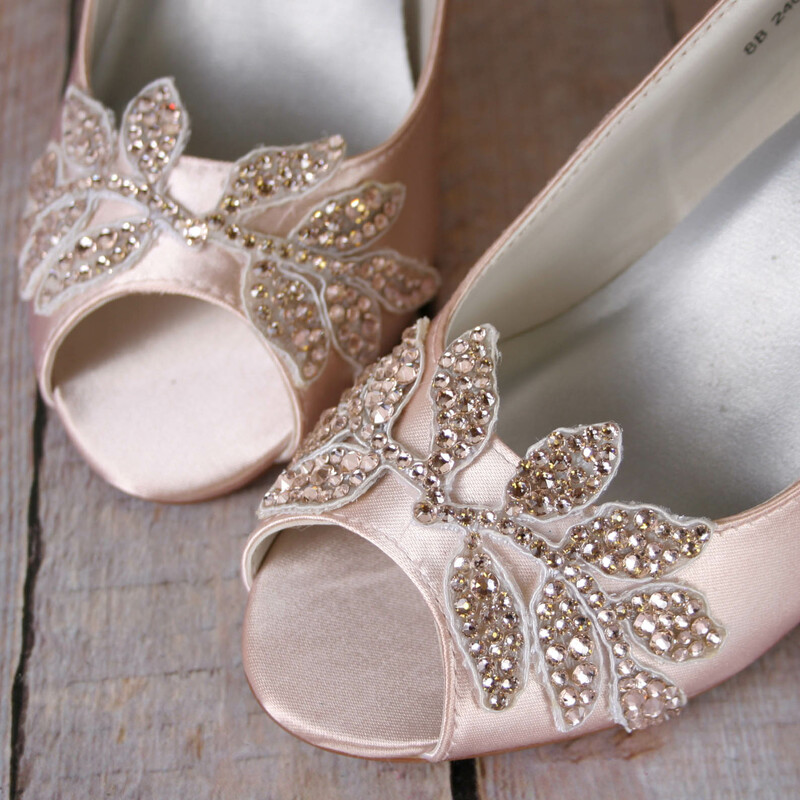 Wedding shoes don’t have to be white, ivory blush or champagne! 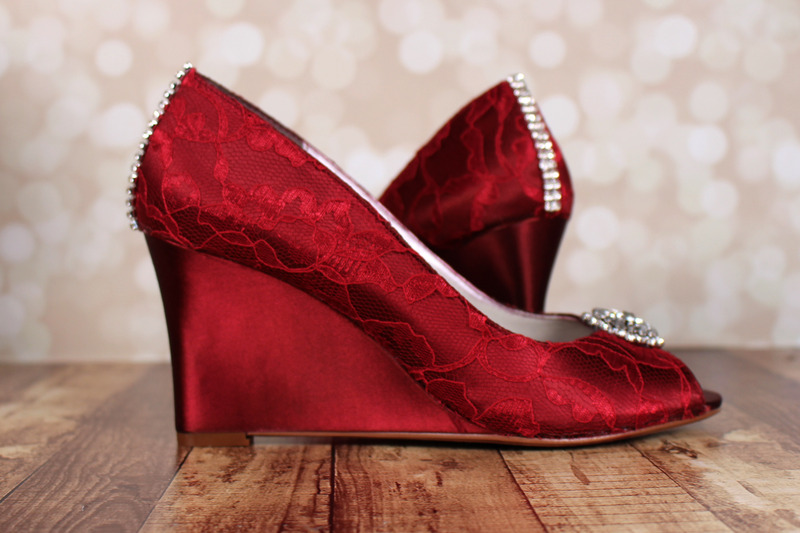 Plenty of our brides opt to do their wedge wedding shoes in a variety of brilliant colors. Shades of coral, fuchsia, yellow and emerald green all come to mind. Some brides decide to let the color speak for itself and opt to keep the custom adornments simple, while others want sparkle and bling! 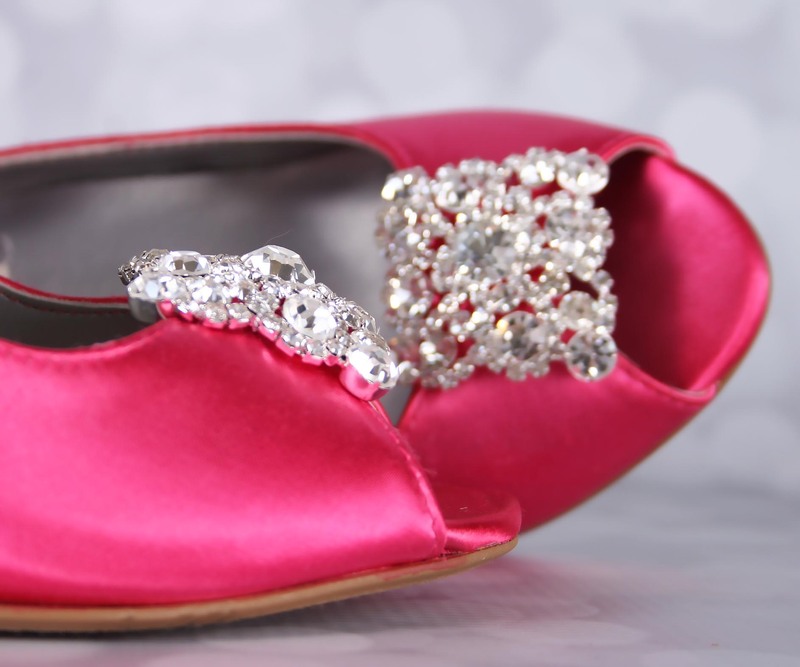 Here are some of the ways our brides have taken the Minka wedding wedge and made it stand out! When the leaves start to fall, wedding wedges are the perfect option for navigating the ground as it starts to get colder. A little more stable and often more comfortable than a heel, they're perfect for walking along gravel paths or posing for wedding photos of the 9th-Hole green. We've designed dozens of pairs of shoes to honor the seasons like autumn. 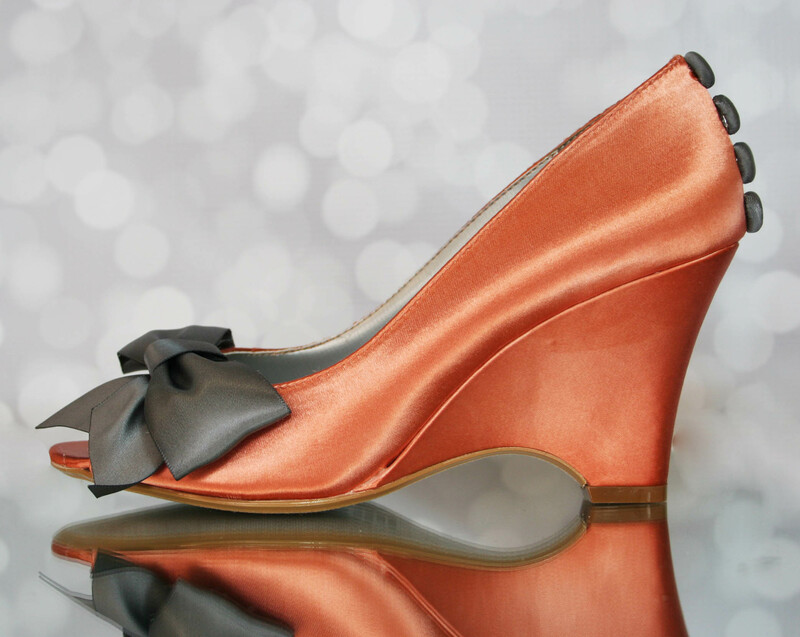 Using colors like burnt orange, copper, gray, pine and navy blue, wedding wedges can be designed to be a very classy autumn wedding shoe option. And let's not forget about Christmas and New Year's Eve! Weddings around those times of year are also popular and great times of year to consider a wedding wedge! 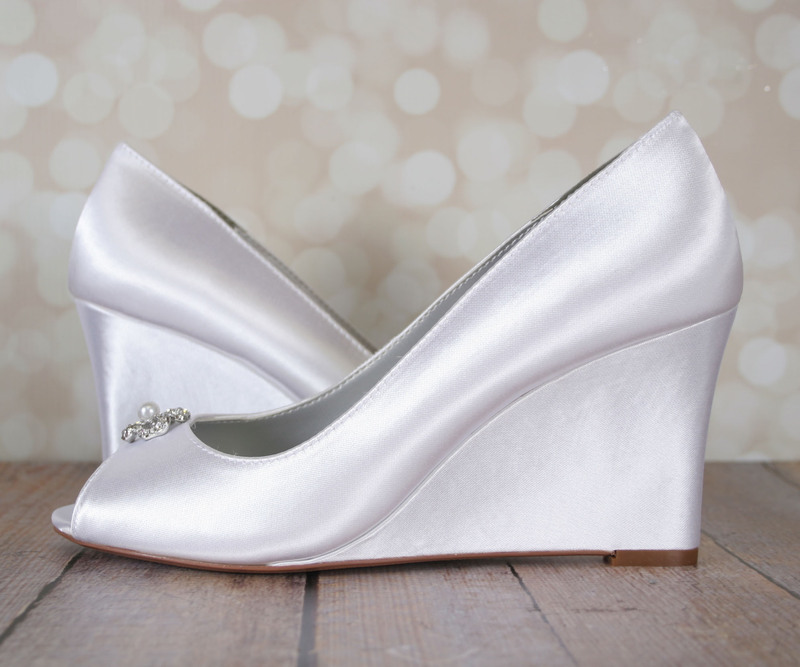 And, finally, for brides that want to go big on their wedding day, bridal wedges are a great option. Why? So much surface area to dress up! 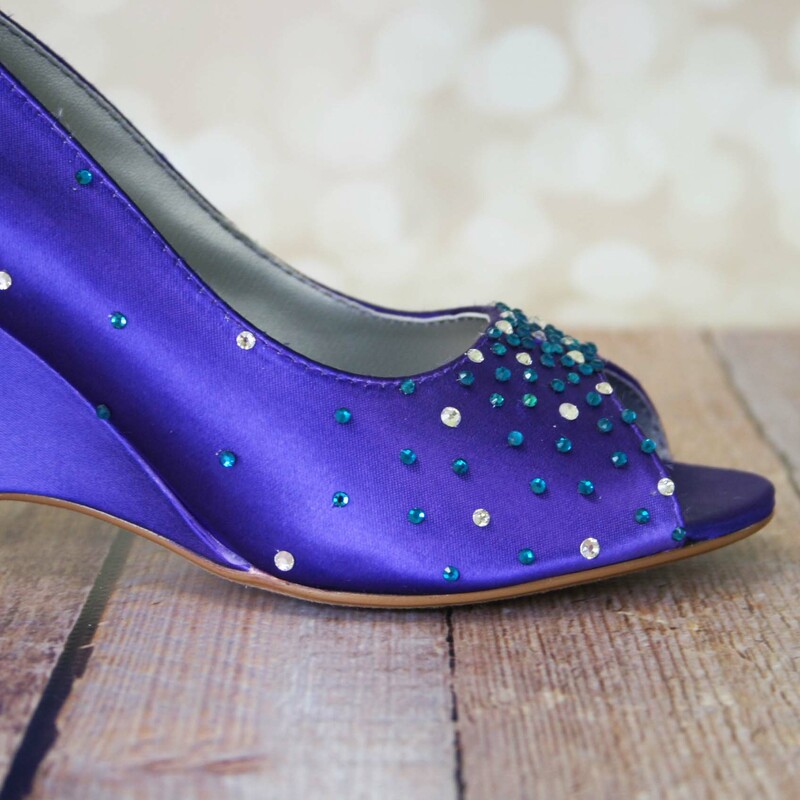 In this collection, you'll see all the ways we took the Minka wedding wedge and made it a showcase wedding shoe. Feeling Inspired by Our Wedding Wedge Collection? That’s the idea! Inspiration is a great starting point. 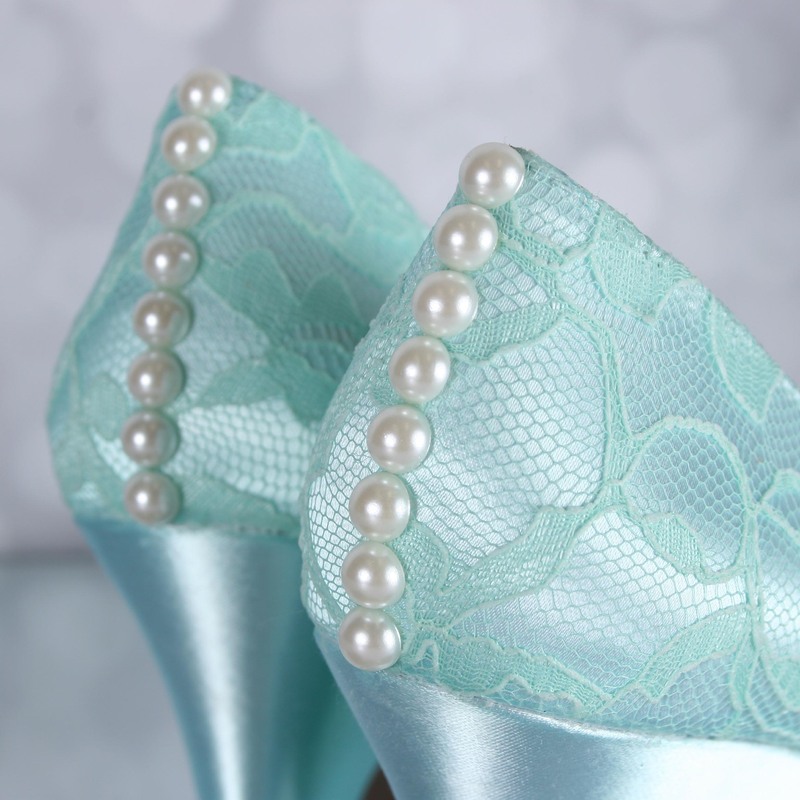 But, don’t forget, that we can customize any of these wedding shoe designs in just about any way a bride would like. For brides in the wedding planning mode, pinning them to Pinterest to come back to later is a good place to start. 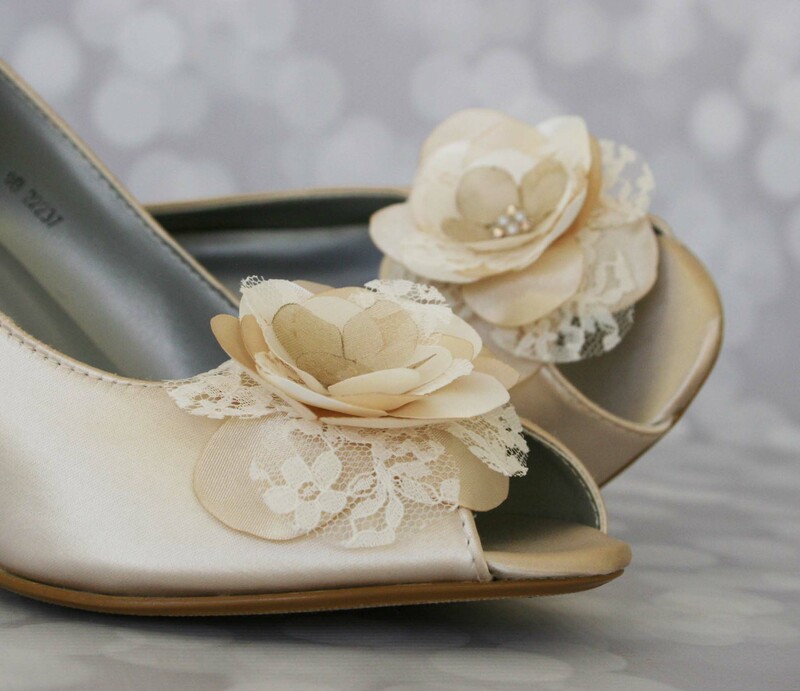 For brides that are ready to start testing out ideas, our design team loves a good wedding shoe conversation! 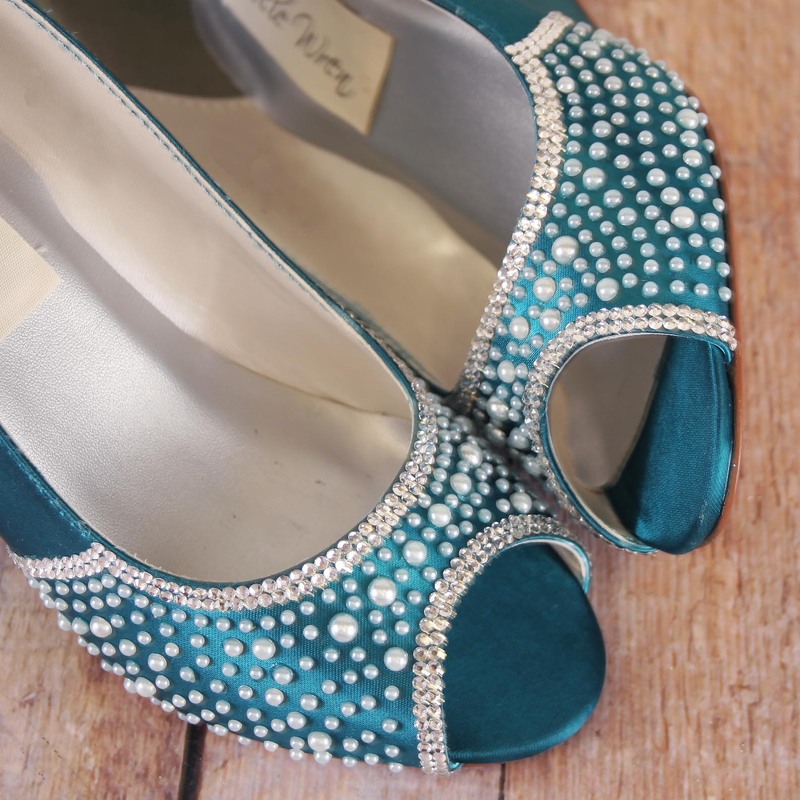 Ellie Wren, since 2011, helped to launch the custom wedding shoe industry into what it is today. 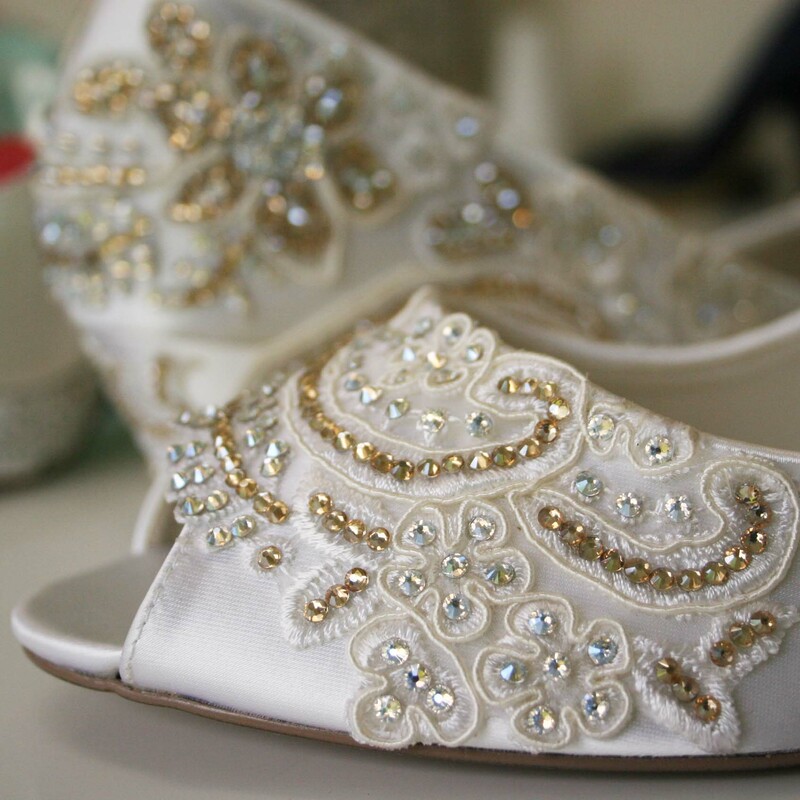 Ellie Wren works one-on-one with each bride, helping her to design her dream pair of custom wedding shoes. Whether brides are looking for something traditional, like lace wedding wedges with pearl accents or something totally new and different, like the weather-inspired custom wedding shoes that we created for Ginger Zee, Ellie Wren’s design team has the vision and the skill set to bring almost any custom wedding shoe design to life. 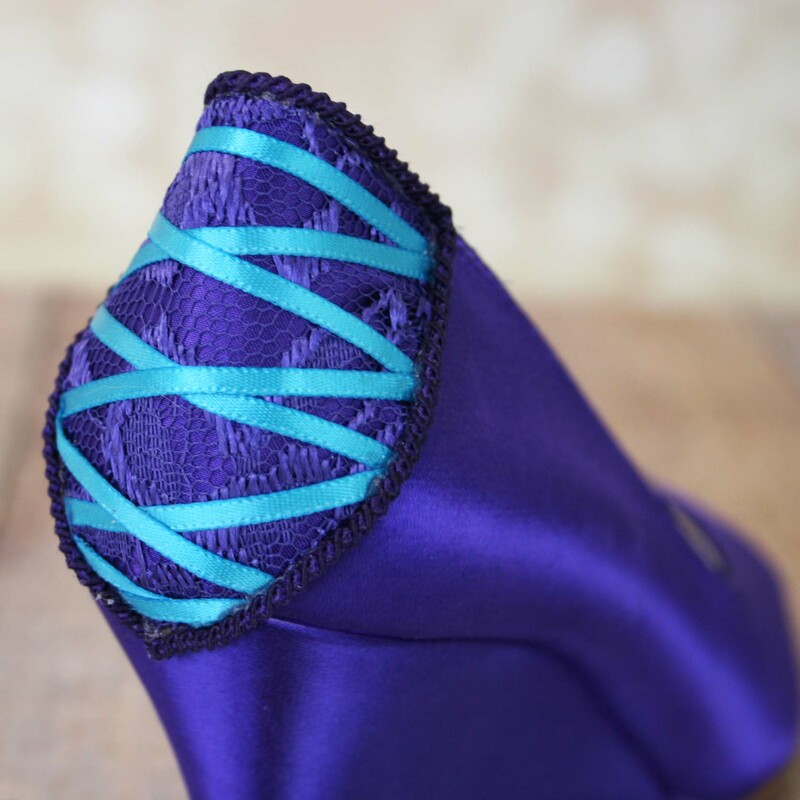 Looking for a unique way to do your something blue? 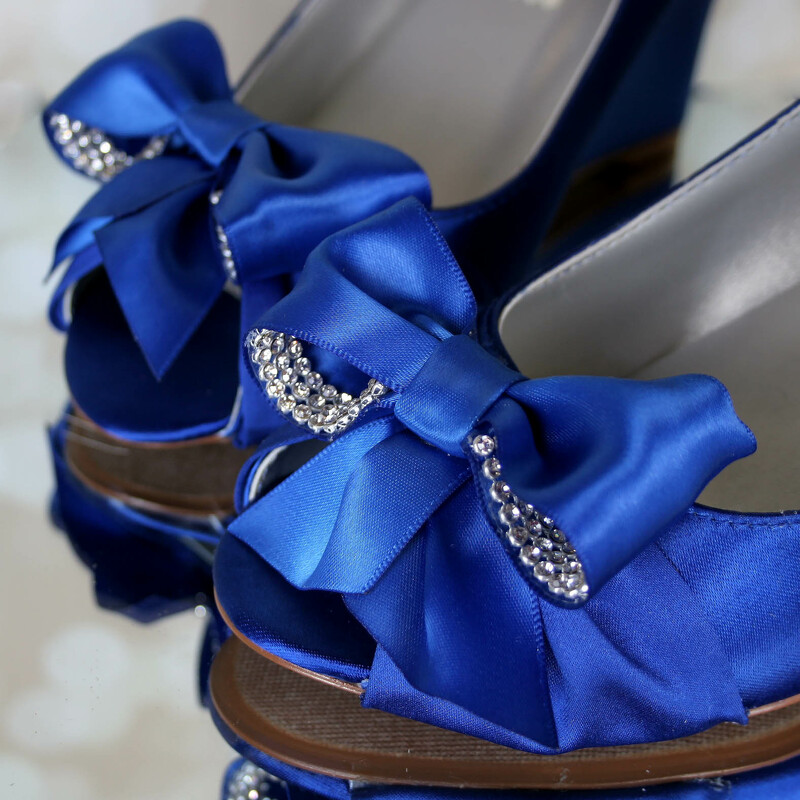 In this blog post, we look at the ways to do something blue, with a focus on wedding shoes. 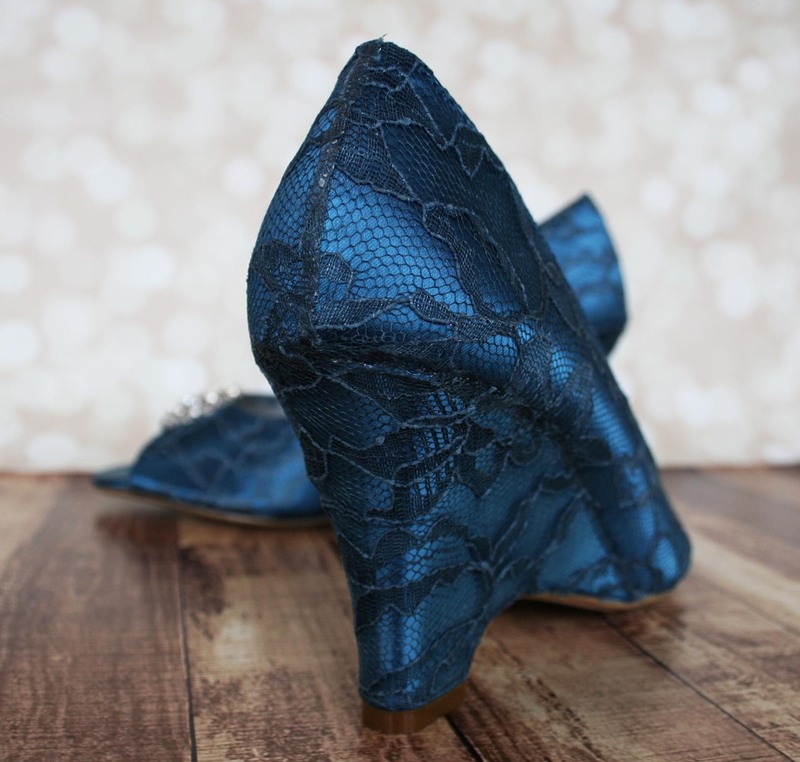 Whether you're into sparkly platforms, lace wedges, comfortable low heels with blue soles, or vintage-inspired navy blue heels, we have a wedding shoe idea for you.